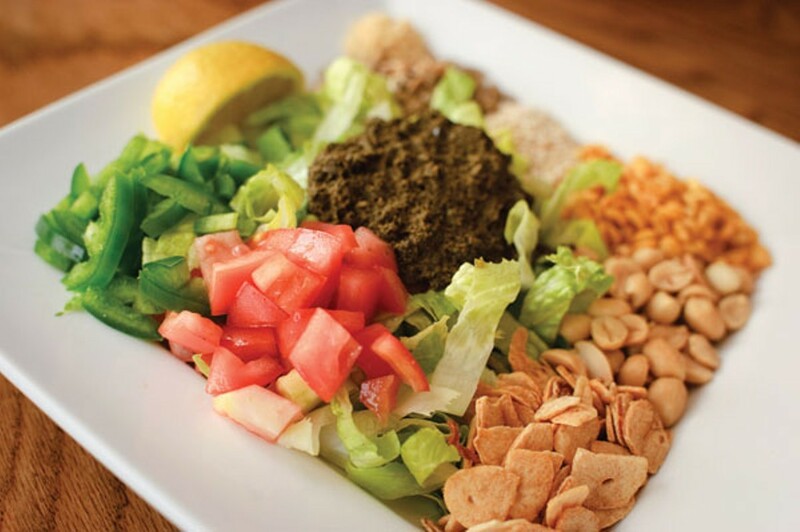 The Bay Area's best-known purveyor of Burmese tea leaf salad faces a major lawsuit. Former employees of Burma Superstar are speaking out about the labor lawsuit filed last week against the popular Bay Area restaurant chain. William Navarette — who worked as a dishwasher, kitchen helper and cook at Burma Superstar — is a plaintiff in the suit. He told the Express that Burma Superstar owners owe him and more than one-hundred other employees back wages. He also detailed what he says are questionable business practices at the chain, which includes five affiliated restaurants. In one alleged violation, Navarette said Burma Superstar owner Desmond Tan instituted a policy whereby employees would not receive certain weekly paychecks. Instead, these checks would become a deposit, and employees would only get them back when they stopped working for the restaurant. When one employee voiced his frustration over the policy, Navarette said that Tan fired him. He also claims that no Burma Superstar workers ever got back the money from these deposits. Navarette also described a nonstop and brutal work environment. “Once you walk into that kitchen, you’re not going to stop until you get to leave for the night," he explained. Managers at Burma Superstar declined to discuss the lawsuit with the Express. More than one-hundred current and former employees of Burma Superstar are named in the lawsuit, claiming numerous violations of the California labor code. These workers claim that the chain failed to pay many of them a minimum wage, in addition to denying them overtime pay, breaks, and sick leave. Attorneys at the Asian Law Caucus, Legal Aid Society-Employment Law Center, and Centro Legal de la Raza filed the suit. In addition to the three Burma Superstar restaurants, two affiliated dining establishments — Burma Love and B Star — are also named in the lawsuit. The plaintiffs claim that Tan operated the five Burmese restaurants as a joint enterprise and instituted what the suit argues are illegal payment practices for all of the establishments. Among other allegations, the lawsuit claims that Burma Superstar and its affiliated restaurants opted to pay many of their kitchen workers fixed salaries instead of an hourly wage. Since they were misclassified as salaried employees who were exempt from California wage-and-hour laws, these workers were not paid for overtime and double-time work. All told, the suit alleges fourteen different wage and labor violations, going back at least four years. The plaintiffs are pursuing class-action status for their lawsuit, which was filed in Alameda County Superior Court. On the behalf of “similarly situated” employees, the three named plaintiffs — Navarette, Mong Tsai Ma, and Juan Fuentes — seek back wages and attorney fees, in addition to other penalties. A report by the Restaurant Opportunities Center released this past June found that Bay Area restaurants have the largest race-based pay gap in the country. Many of these issues concern the disparity in pay between front-of-house and back-of-house employees, as generally only FOH employees benefit from tips — an issue that disproportionately affects people of color, given that they are more likely to work in the kitchen. Burma Superstar has locations in Alameda, Oakland, and San Francisco. The original location in San Francisco’s Richmond District, which opened in 1992, is widely credited for popularizing Burmese food in the Bay Area. In March, the chain announced that it was looking to open a new site in the Mid-Market neighborhood. This is an updated version of an earlier blog post about the Burma Superstar lawsuit.